With more and more cars offering some form of connectivity, opportunities are emerging for the automotive industry. 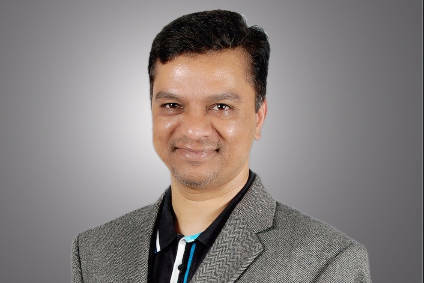 In this interview, Nilesh Auti, who is vice president and head of Auto & Discrete Manufacturing Vertical at Tech Mahindra, explains how correlating data on cars, drivers and their environment results in Big Data, pointing the way to new possibilities for car manufacturers and dealers. We understand that there are some opportunities opening up in the automotive industry from correlating data on cars, drivers and their environment. What is your perspective? Over the last three years, there has been significant growth in the number of connected vehicles on the road – which now numbers approximately 5.5m, with each car generating around 25GB data per day. This data is providing a wealth of insights not only on the car, such as the route, speed, wear and tear, but also external factors and the surrounding environment such as the road and weather conditions. This is providing some real opportunities for the market. The current priority for manufacturers is how this data can be used to improve safety, but we're also seeing more interest in how this data can be correlated and used to improve the customer relationship as well as its potential for improving revenue opportunities in the aftermarket. What do these opportunities actually mean for manufacturers and car dealers? The global revenue of the auto industry is approximately $3.5 trillion; this comprises 80 percent from vehicle sales and 20 percent from the aftermarket. We believe the rising popularity of connected and autonomous cars will create a whole new business segment for the auto industry, which we call 'Data Monetisation'. Some analysts predict that data monetisation from the automotive industry will be a distinct market in itself worth $1 trillion in size in the next ten years. This new business model will focus on car sharing, mobility, apps, remote monitoring and diagnostics, navigation and entertainment. While this is a great opportunity for the OEMs and dealers, we are also now seeing that telecom companies, insurance companies and fleet companies are experimenting with data to get a piece of the pie from this new business opportunity. What is Tech Mahindra's solution? And could you tell us more about Tech Mahindra's so-called Big Data Analytics Platform? We have started working with OEMs, auto retailers, fleets and telecom companies to help them realise data monetisation opportunities. Tech Mahindra offers data monetisation solutions for three key areas - Customer Centricity (urban mobility and infotainment), Product Quality (diagnostic and predictive maintenance and quality) and Services (usage based services like insurance and tyres). We offer the solution built on our Connected Vehicle (CoVe) platform. These solutions have been developed on other product platforms of providers such as IBM, Microsoft and Covisint as well. The analytics platform focuses on predictive quality, critical parts failure and cognitive patterns in driver behaviour. These are primarily used for product quality and safety improvements. We also provide social analytics for market segmentation, customer personalisation and digital marketing; this is a cloud based platform, pay-per-usage-model. Customers are using the analytics platform for their pilot business model of data monetisation, for example, personalisation of infotainment, Usage Based Insurance and Tyre as a Service, a pilot project in which users are charged a quarterly/ yearly service fee where tyre companies will then ensure tyre uptime and safety as well as provide replacement tyres as part of the service. Tech Mahindra is helping these tyre companies with a connected tyre platform. Who are your automotive customers for this solution? An auto OEM in APAC which launched three new connected car models on this platform, focused on Customer loyalty and safety. A major German automotive firm who is using the big data hadoop platform to help predict oil and battery failure. Delivery trucks for fast food chains which aims to reduce wastage to less than 1 percent by real-time monitoring and having control of food hygiene condition. All these are direct benefits to customer satisfaction, safety and maintenance costs using the data, and can be monetised to deliver extra value. We understand that Tech Mahindra has launched a connected solution for the used car market. Could you tell us more about that and your alliance with Enquiss GmbH? Tech Mahindra has a specific solution for the connected aftermarket. This solution caters for existing vehicles on the road which are not connected by OEMs; there are more than 800 million of these vehicles globally. The acquisition of the German connected car start-up, Enquiss GmbH, helped us enhance our capabilities in delivering mobile apps to improve customer centricity, for usage based insurance and for integrating data on weather conditions. In addition, we are helping a European fleet company with 70,000+ vehicles to optimise its fleet usage, and control cost of maintenance, by 12 percent. This use case is achieved through improved driving behaviour and usage-based high-value parts replacement. The main challenge of delivering solutions in this space is that of connecting multi-brand, multi-version models. For every fleet, there is a huge variety of models which need to be tested to get connected on a common platform. With more and more cars offering some form of connectivity, is there a question about who owns the data generated by such cars? Yes, this is a very valid issue and the competition is getting hot in this space. The potential of new business is worth $1 trillion and has attracted not only automotive OEMs and auto retailers, but also telecoms providers, T1 auto suppliers and insurance companies in the market. Various companies from these sectors are launching their own solutions to connect the vehicle and have ownership of the data. We have all heard of some high profile cases of cyber-attacks on certain car models. Does the auto industry need to change its approach to prevent such attacks, i.e. be overcritical about their processes and early assumptions? A mature connected car handles 75+ applications and 500GB+ data, so it's as if every car is a mini data centre and every car owner is a CIO. Obviously data security and identity management is one of the top challenges for automotive OEMs especially for safety related issues. I believe this is a must have feature because the car connects personal data and vehicle safety data. Given the rising tide of consumer concern around the threat of hacking, could cyber security become a differentiating factor for automakers? i.e. tomorrow's car with a good 'cyber security rating' could help swing a sale. Cyber security is becoming a fundamental and critical feature for every connected car solution. There's a lot at stake as any compromise in security may result in a fatal accident, theft or the risk of theft of personal data. Tomorrow's car is not just a product, but it will be an experience and this experience has to be safe. A mature security solution will be one of the key differentiating factor for the auto OEMs.